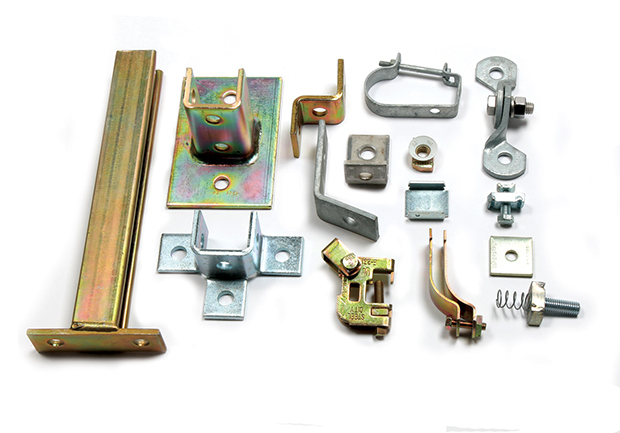 We stock a wide variety of steel, aluminum and stainless steel hardware, fittings and accessories. Most are available in standard plated finish, hot dip galvanized or PVC coated. Channel and Strut Fittings provide a basic structural system on which to assemble electrical components.